El Blog de HOLA: Betcha Didn't Know...? In this edition, people who operate behind the scenes in the world of entertainment–- the power players. Herb Scannell (1957– ) is a network executive and the current President of BBC Worldwide America. He was born to a Puerto Rican mother and an Irish-American father in Long Island, New York, U.S.A. His mother taught him Spanish at home helping him to become fluent in both English and Spanish. As a child he would spend every summer with his Puerto Rican family in the island becoming very attached to his Hispanic roots. He graduated from high school in 1975 and entered Boston College. As a student he became the manager of WZBC (the campus' radio station). He graduated in 1979 with a Bachelors Degree in English. He was hired by WHN Radio (New York) in 1980, before joining the cable television revolution in 1981 at The Movie Channel before it merged with Showtime, and eventually worked his way up to the position of Director of Program Promotion for Showtime/The Movie Channel. On March 1988, he joined Nickelodeon as Director of Programming, overseeing program scheduling. In 1989, he was named Vice-President for Nickelodeon. He oversaw the development and launch of Nick News. In 1990, he served as Executive Vice-President for Nickelodeon Network and U.S. Television. He oversaw the direction of Nickelodeon and Nick and Nite cable networks. He was also fundamental in the development of Nick Jr. and Nicktoons. On February 1996, he was named President of Nickelodeon and TV Land. Under his leadership Nicktoons (which included such animated cartoons as "Spongebob SquarePants," "The Fairly OddParents," "Rugrats" and "Doug") and TV Land became the highest rated cable networks launched within the past seven years. Nickelodeon also expanded to other areas such as live theatrical shows, magazines and feature films. He was also responsible for launching "Dora the Explorer", "The Brothers García" (which is based on "Los García," a show he used to watch in Puerto Rico) and "Taína." On June 2003, MTV Chairman Tom Freston named him as president of Nickelodeon Networks and vice-chairman of MTV Networks. He played a lead role in the overall management of the entire company. On August 22, 2005, he participated in "The State of Hispanic America National Conference" as a member of the Executive Roundtable. In January 2007, he became the founding CEO of Next New Networks, a new media company of micro-television networks distributed through internet technology; the company had 2010's #1 and #2 YouTube videos in the world. In June 2010, he became the President of BBC Worldwide America. He currently lives in Manhattan, New York, New York, U.S.A. with his wife and two daughters. 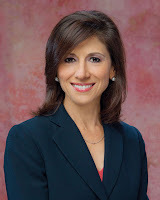 Nina Tassler (1957- ) is a n American television executive. She has held the position of President of CBS Entertainment since September 2004. She was born in New York, New York, U.S.A. to a Puerto Rican mother and a Jewish father. She grew up variously in Manhattan, upstate New York and Miami, in what she describes as a “politically progressive,” multicultural family. Her upbringing were steeped in an awareness of the social movements of the day — the civil rights movement in particular — and when her father inherited a bungalow colony in upstate New York, the family ran it as a camp, welcoming African American and Native American children, in the 1960s, when such was not common practice. She graduated from Boston University with a bachelor of fine arts in theater. After college, she moved to New York City and worked for Roundabout Theatre Company. After a few years, she moved to Los Angeles, California, U.S.A. There, she worked as a talent agent at Triad Artists for about five years before moving on to Warner Brothers. In 1997, she started out as vice-president of drama at CBS Productions before being promoted to senior vice-president of drama development at CBS Entertainment and ultimately settling into the role of president. She is the highest profile Latina in network television and one of the few executives who has the power to greenlight series. She oversees CBS' prime time, late night and daytime programming, as well as program development for all genres. 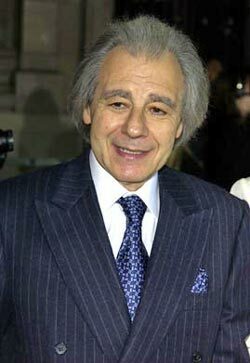 Lalo Schifrin (1932- ), born Boris Claudio Schifrin in Buenos Aires, Provincia de Buenos Aires, Argentina, is a composer, pianist and conductor. He is best known for his film and TV scores, such as the "Theme from 'Mission: Impossible.'" He has received four Grammy Awards and six Academy Award nominations. His work is associated with the jazz music genre, is also noted for work with Clint Eastwood in the late 1960s, 1970s and 1980s, particularly the Dirty Harry films. His father, Luis Schifrin, led the second violin section of the orchestra at the Teatro Colón for three decades. At the age of six, he began a six-year course of study on piano with Enrique Barenboim, the father of the pianist and conductor Daniel Barenboim. At age 16, he began studying piano with the Russian expatriate Andreas Karalis, former head of the Kiev Conservatory, and harmony with Argentinian composer Juan Carlos Paz. During this time, Schifrin also became interested in jazz. Although he studied sociology and law at the University of Buenos Aires, it was music that captured his attention. At age 20, he successfully applied for a scholarship to the Paris Conservatoire. While there, he attended Olivier Messaien's classes and formally studied with Charles Koechlin, a disciple of Maurice Ravel. At night he played jazz in the Paris clubs. In 1955, he played piano with Ástor Piazzola and represented his country at the International Jazz Festival in Paris. After returning home to Argentina, he formed a jazz orchestra, a 16-piece band that became part of a popular weekly variety show on Buenos Aires TV. He also began accepting other film, television and radio assignments. In 1956, he met Dizzy Gillespie and offered to write an extended work for Gillespie's big band. He completed the work, Gillespiana, in 1958 (it was recorded in 1960). Later that year he began working as an arranger for Xavier Cugat's popular dance orchestra. While in New York in 1960, Gillespie (who had by this time disbanded his big band) invited Schifrin to fill the vacant piano chair in his quintet. He immediately accepted and moved to New York City. He wrote a second extended composition for Gillespie, The New Continent, which was recorded in 1962. In 1963, MGM, which had Schifrin under contract, offered the composer his first Hollywood film assignment with the African adventure, Rhino! He moved to Hollywood late that year. He also radically re-arranged the theme song for the popular NBC-TV series "The Man from U.N.C.L.E.," altering original composer Jerry Goldsmith's theme to a jazzy melody emphasizing flutes and exotic percussion, which wound up winning the Emmy Award for Best TV Theme in 1965. One of his most recognizable and enduring compositions is the theme music for the long-running TV series "Mission: Impossible." It is a distinctive tune written in the uncommon 5/4 time signature. His "Tar Sequence" from his Cool Hand Luke score (also written in 5/4) was the longtime theme for the "Eyewitness News" broadcasts on New York station WABC-TV and other ABC affiliates, as well as National Nine News in Australia. CBS Television used part of the theme of his St. Ives soundtrack for its golf broadcasts in the 1970s and early 1980s. His score for Coogan's Bluff in 1968 was the beginning of a long association with Clint Eastwood and director Don Siegel. His strong jazz blues riffs were evident in Dirty Harry. In the 1998 film Tango, he returned to the tango music he had grown familiar with while working as Ástor Piazzolla's pianist in the mid-1950s. He brought traditional tango songs to the film as well as introducing compositions of his own in which tango is fused with jazz elements. In 1997, the composer founded Aleph Records. He made a cameo appearance in Red Dragon (2002) as an orchestra conductor. He has a star on the Hollywood Walk of Fame. Tina Landon (1966- ) was born in Lancaster, California, U.S.A. to a Mexican mother and an American father. She is an award-winning choreographer who has worked with Janet Jackson, Michael Jackson, Prince, Anastacia, Ricky Martin, Mya, Pink, Jay-Z, Marc Anthony, Aerosmith, Jennifer López, Christina Aguilera, Shakira, Pussycat Dolls, Tina Turner, Britney Spears, Rihanna and Ciara. As a child, she studied jazz, ballet and tap. She began her dance career as a Laker Girl in the 1980s when Paula Abdul was the choreographer. In 1990, she toured as a dancer on Janet Jackson's Rhythm Nation 1814 Tour and choreographed the singer's janet. World Tour in 1993 and The Velvet Rope World Tour in 1998 for which she received an Emmy Nomination for Best Choreography. At the 1999 MTV Video Music Awards, upon winning the Best Dance Video award, Ricky Martin called her onstage and passed on the award to her. At the 2000 ALMA Awards, Jennifer López (one of her former dancers) presented her with an Achievement in Choreography award. In September 2009, Landon and several other choreographers danced with Janet at the MTV Video Music Awards to perform the duet "Scream", which Landon originally co-choreographed, as a tribute to Michael Landon. She teaches master classes at the Millennium Dance Complex in North Hollywood, California, U.S.A. She has released three fitness DVDs: "The Grind" Workout II ("Fitness With Flava"), "The Grind" Workout III ("Strength and Fitness"), and Behind the Moves: Session 1. She has won many awards including the 2001 American Choreography Award for Best Music Video Choreography (Mya's "Case of the Ex"); 2000 Alma Award Honoree for Achievement in Choreography; 1999 Dance Master's of America 115th Choreographer of the Year Award; the 2000 Music Video Producers Association Award for Best Choreography, 1999 American Choreography Awards for Best Music Video Choreography and 1999 MTV Video Music Award (all for Ricky Martin's "Livin' La Vida Loca"); 1995 MTV Video Music Award for Best Choreography (Michael Jackson and Janet Jackson's "Scream"). Ricky Martin's "Livin' La Vida Loca"
Desmond Child (1957- ) was born John Charles Barnett Casals al estilo latino in Gainesville, Florida, U.S.A. to a Cuban mother and an American father, is a musician, songwriter and producer. He was raised in Miami where his songwriter mother taught him to play the piano at an early age. In high school, he formed his first band. He then went on to attend Miami-Dade College. It was in Miami that he formed the group Desmond Child & Rouge in 1973. Soon after, he moved the group to New York City to pursue their musical dreams. They recorded two albums and scored a dance hit, "Our Love Is Insane," which reached #50 on the Billboard Hot 100 in 1979. His experience as a recording artist would soon play a role in his songwriting future. His songs caught the ear of KISS guitarist Paul Stanley, who asked him to co-write "I Was Made for Loving You," which is still one of the biggest hits in the KISS catalogue. He then worked with Bon Jovi, where they penned the band's first number-one single, "You Give Love a Bad Name" as well as "Livin' on a Prayer" and "Bad Medicine." He then wrote (or co-wrote) for Aerosmith the hit songs "Dude (Looks Like a Lady)," "Angel," "What It Takes" and "Crazy." During the same period, he co-wrote Joan Jett's "I Hate Myself for Loving You" and also co-wrote all of the tracks on Alice Cooper's Trash album (including the hit single "Poison"). At this point, hed began branching out from his rock base, co-penning Michael Bolton’s "How Can We Be Lovers," as well as co-writing and producing "Just Like Jesse James" and "We All Sleep Alone" for Cher. 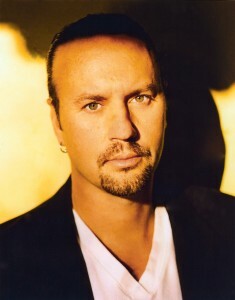 In the midst of all of his success, he also found time to record the solo album, Discipline (Elektra, 1991), which contained his own Top 40 hit, "Love on a Rooftop." In 1993, he wrote the Spanish song titled "Tú serás la historia de mi vida" for Shakira. In the late 1990s, he returned to his Latin heritage via collaborations with Ricky Martin. Their efforts resulted in the number-one worldwide smash "Livin' La Vida Loca." The two also scored big with the 1998 World Cup theme "The Cup of Life," which was a #1 hit in 25 countries. More than twenty years after his first number-one song, he remains as in demand as ever. For nearly three decades, he has reigned as one of music's most successful creative forces. His list of accolades includes Grammy Awards, 70 Top 40 singles, and songs that have sold over 300 million albums worldwide. His additional collaborations include Bonnie Tyler, Selena, Kelly Clarkson, Dream Theater, Joss Stone, David Archuleta, Scorpions, Hilary Duff, Ace Young and Meat Loaf. He is a member of the Songwriters Hall of Fame. Desmond Child's "Love on a Rooftop"
Desmond Child and Rouge's "Our Love is Insane"